It’s a sad week for fans of — as some have described this particular style of TV comedy — the ‘live-action cartoon’. Tina Fey and Robert Carlock’s audacious, outrageously-funny Netflix comedy Unbreakable Kimmy Schmidt quietly released its final few episodes and exited the world with as insultingly little fanfare as it has received since premiering in 2015. For 51 episodes, it used a remarkably consist comic timing and a cast of adorable but complicated characters to preach the message that you don’t have to abandon cynicism to exhibit kindness. It may never have achieved the singular genius of a show like Fey/Carlock’s 30 Rock, or the even superior Community, but the coherence of its message and terrific premise held together more tightly than either of those shows, and with the final episode in the can, one imagines the 4 seasons will work extremely well as a single binge-watch. In choosing its quartet of lead characters, Unbreakable opted to redefine what archetypes a sitcom ensemble needs to include. There’s no Ross on this show. There’s no Rachel either. These are four extremely 2010s types interrogated and flushed for comedic potential by the writers to truly outstanding results. We have the eponymous Ms. Schmidt (Ellie Kemper), rescued from a bunker after being abducted as a teenager and missing out on years of social development. Titus (Titus Burgess), a flamboyant gay actor failing his way through Broadway auditions but never exploited for any of the tokenism one would expect from an American sitcom. Lillian (Carol Kane), a kindly but possibly psychopathic old cat lady who rents Kimmy a room downtown. And Jacqueline (Jane Krakowski), not far removed from 30 Rock’s Jenna, a self-involved career mother forced to confront that she actually has children following her divorce. Yes, there’s a diversity of age, race and sexuality between these characters, but what makes Unbreakable so compelling is the diversity of spirit, and how the show rapidly manages to unit the quartet through a warm, optimistic sense of New York adventure. This is one of the most distinctly New York shows of the century, even in the final episode Lillian’s goal is to become “a city legend like Joan Rivers” by killing herself in a building (*cough* tugboat) demolition, after four seasons of trying to prevent the hipster gentrification of the greasy corner she calls home. It’s a moving ode to the changing face of a city like New York that Lillian’s quest for things to remain somewhat the same is not compromised, but in fact complemented, by a character like Titus, who represents the new, out-and-proud side of the American metropolis. Burgess had a small role on 30 Rock, but he (despite the fact that nobody seems to watch Unbreakable anymore) became a moderate household name after the first season; the endearing nature of the character’s camp narcissism exists within a very specific grey area of tolerability that Burgess has mastered. Meanwhile, Kimmy herself is just the human embodiment of a bright pink unicorn, dazzlingly joyful in ways that many likely find insufferable, but hits my sweet spot for kind, lively energy. But here was Unbreakable Kimmy Schmidt’s greatest victory: finding a way to tackle the overabundance of political correctness and voluntarily offence that exists on social media and within young white millennial circles of discourse, without ever being mean or bigoted or alluding to the notion that offence does serve an important societal role. Unbreakable would, on a number of occasions, highlight the absurdity of policing language, thought, expression, debate etc., but in ways no other show — par maybe Big Mouth — has managed: never diluting its respect for the LGBT community or those groups marginalised by typical anti-PC outrage. In the final season alone, there was a joke about a heroic veteran “horrifically kicked out of the army… just because he was in a wheelchair!”. 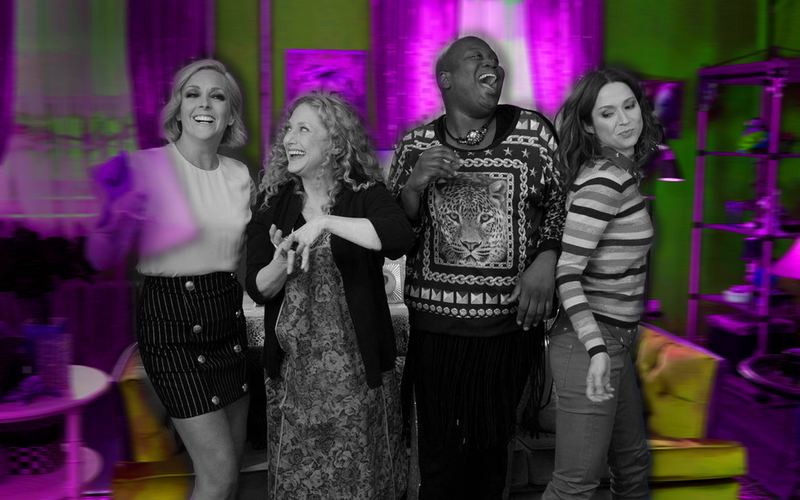 Unbreakable Kimmy Schmidt used its bright, breezy image to conjure the illusion of harmless pleasantness; in fact it could be an incredibly ruthless satire of modern American media. This show (which was, oddly, originally meant to be on NBC) is the first of a generation of series that began around 2014 and 2015, and now coming to an end, that mark the end of an era of the sort of TV I was watching in my later years of secondary school. I have very strong associations of the happiness the first two seasons brought me when studying for exams; its end feels of greater significance to me than I would have expected from just four seasons. But Unbreakable Kimmy Schmidt managed in subtle, splendidly funny ways, to be far more affecting and memorable than its audience knew at the time. I expect it will be canonised in years to come as one of the best Netflix originals of these early years, underappreciated during its run but later acknowledged as a terribly special piece of television. And if you liked it as much as me, please go back and watch 30 Rock. It’s even better.